Today I’d like to talk about this past Saturday, when my boyfriend and I went to get a facial in Lush. So, here when you subscribe to the Lush newsletter, you can chose a facial, hand treatment, some kind of a party where you can bring your friends and some sort of consultation. 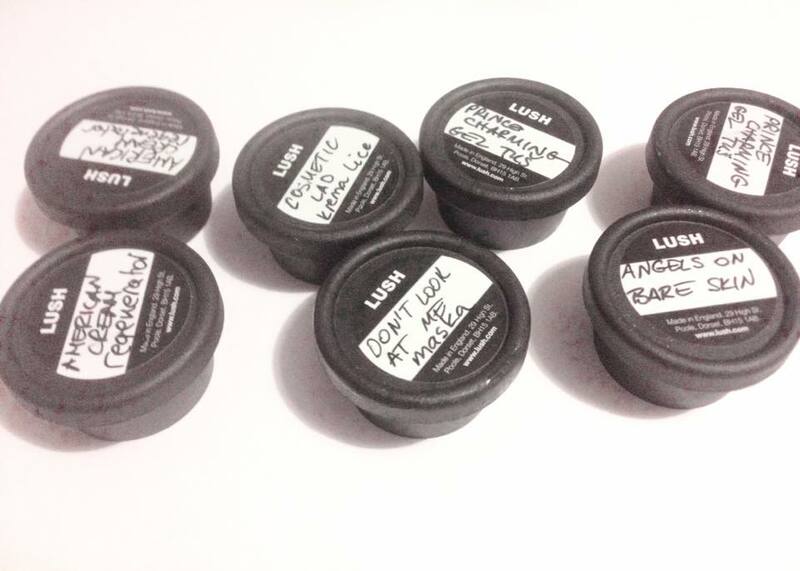 We chose a facial, because it includes a massage and things you wouldn’t normally try out when you go to Lush. Hand treatment- you can try everything just by visiting the store, consultation- they explain to you different things about your skin and skin type (so, if you know at least something about it, you won’t get much out of it) and the party with your friends means that you bring your friends and you do facial treatments for each other, which means that it won’t be as thorough. Anyways, we got there Saturday 11:45 a.m. and were greeted in the nicest way possible. The lady was really nice, and was super cool about the fact that they told me to come at 11:45, but wrote down we’d be there at 11. I don’t know the names of the stuff he used, I’m so sorry, but I didn’t think I’d love it so much that I would want to write about that, so I didn’t write the whole process down. However, first he cleaned our faces, then used a tonic. After that, he massaged our faces with a serum, and applied our masks on top. Then we waited for about 15 minutes for our masks to dry (and talked in the mean time, of course). Anyways, when our masks dried, he cleaned them with a cool little sponge, that is also exfoliating, cleaned it again with a tonic on a cotton pad and applied moisturizer. which I’ve tried and I don’t really like. I have the Dirty Springwash shower gel by them in full size, which I like much more. Firstly, the scent is weird. Not that it smells bad, but it’s weird. Kind of powdery and citrus-y and something I can’t figure out… simply weird. Secondly, the color of it- OMG! It’s bright pink, but it’s opaque! You kind of look like you’re bleeding when you use it, and I messed up my entire shower 😀 So, I don’t think I’d repurchase that. If you want to see a more in depth review, I’ll be happy to do that. I’ve tried that one, too, and I love it so far! I think it really conditioned my hair and it was really bouncy and shiny after using that. I’ve used it only once so far, so I can’t really tell you for sure, but I do have 2, so I can get at least 2 more uses out of them. Also the scent is very much Lush-like 😀 but I don’t hate it. I haven’t tried that one, yet. It’s a green mask, which I keep in my fridge and should use it up really soon. Tomorrow maybe. It smells quite nice, so I guess it will be nice. Also, because it’s in the fridge, I think the feeling will be pretty amazing. It’s supposed to shrink pores, which I kind of need. This one I think I’ll like even more, because (from what I can tell), it’s a clay mask, with all sorts of cool herbs and what ever it is inside. It smells pretty cool, too. I haven’t used that either, but I think Dino said this one lasts a bit longer than the green one. I’m not sure why I thought this one was for me, even though it clearly says LAD on the container 😀 But, oh well… I thought it was the moisturizer used on me in the store, but it’s not. And now I don’t know which one it was, but I loved it so much! Anyways, I haven’t tried that one yet, and I’ll give it to my boyfriend (obviously), but to be honest… I’m not the biggest fan of the scent. I like my moisturizers pretty low key on scents. That’s it for our samples. I’m really sorry I didn’t write down the whole process of our facial, but we do have another one sometime in the future, so I will make sure to write everything down and maybe even take a few photos? What do you think? And that’s it for this post! Did you ever get something similar in Lush? Would you like to try it? Have you tried any of these products? P.S. I hope to be able to announce my giveaway winner soon. I am waiting to hear back from the Born Pretty Store, which is taking longer than I expected, but I guess that they’ll contact me soon.